At Free Spirit, we’ve designed our online application system for medical travel insurance to be as simple as possible. We’ll ask for information about you, your pre-existing condition and/or disability and your trip, which is easily submitted via our online form. In many instances, we can give you a no-obligation specialist travel insurance quote straight away. There may, however, be occasions when we need more details from you in order to give you a tailored quote, in which case we will ask you to give us a call. In every case, we will do all we can to provide you with medical travel cover customised to your unique circumstances. Getting a quote online and arranging specialist travel insurance with us is quick and easy, but we also understand that you may have questions to ask before you’re ready to apply. With this in mind, we’ve created the following guide for buying travel insurance online with us. Unlike many traditional holiday insurance providers, we go out of our way to provide wide-ranging levels of travel insurance cover for everyone if we can, regardless of age or any existing medical conditions or disabilities you may have. 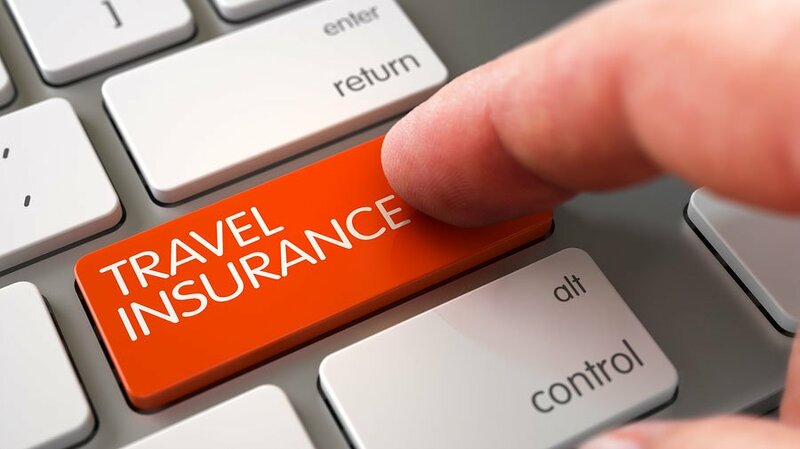 A large number of standard travel insurance providers will automatically decline to offer cover to people over a certain age, or people who have existing health conditions or disabilities. Even where standard providers do offer cover, it may not provide everything you need. On the other hand, Free Spirit specialises in medical travel insurance that includes cover for people of any age and for most medical conditions and disabilities – take a look at the full list here. We provide a 24-hour medical emergency helpline in case you need help while overseas. Free Spirit also provides other essential non-medical aspects of travel insurance (more information about this below). For some, organising travel insurance can be something you only come to think about a couple of days before you are due to leave for your trip. However, when you have a pre-existing medical condition or disability, not only is it a good idea to give yourself plenty of time to get holiday insurance, it’s also important to have cover for cancellation in place. If, due to health reasons, you end up not being able to take your holiday as planned, Free Spirit medical travel insurance will cover you for costs you’ve already paid out, such as for flights and accommodation. Plus, if your travelling companions are also covered on your policy with us, they can also claim for their costs too. This cancellation cover is in place from the moment you purchase your policy with us*, and lasts right up until your departure date. We believe that having an existing condition or disability should be no barrier to exploring the world, but it does mean you should give your travel plans plenty of preparation time. Our top tip is to secure medical travel insurance as soon as your holiday is booked, then you can get on with planning your trip knowing you’re covered**. * Please note, if you purchase an Annual Multi-trip policy, the cover begins on the date you choose to start the policy. If you have already booked your trip, it is best to start the policy straight away to ensure you are covered for cancellation. When shopping around for travel insurance for medical conditions and disabilities, you may wonder how to compare different policies in order to decide which is right for you. It’s important that the policy you go for offers cover specialised to your condition or disability, and that it provides the right level of cover to suit your individual needs. Your existing medical condition and/or disability – first and foremost, will you be covered for emergency medical treatment for your specific condition and/or disability if you need it? Overseas medical care is often very expensive, so quality cover is vital. Your travel destination – will your specialist travel insurance provide cover in all of the destinations you will be travelling to? This is essential, especially if you will be touring several countries in one trip. The length of time you want to travel for – is there a limit to the number of days your trip can last? You don’t want to have to cut your holiday short because your travel insurance is capped at a certain amount of time. Your age – is there an upper age limit? It’s never too late to see new places, so make sure your specialist travel insurance covers your existing health conditions and your age. The activities you want to do while you’re away – will you be covered to do the dream activity you’ve always wanted to try? More and more mature travellers are looking to take part in once-in-a-lifetime experiences, so if this is you, make sure you’ll be covered (and that your doctor is happy too). Take a look at our full article on comparing medical travel insurance to find out more. While cover for emergency healthcare and its associated costs is undoubtedly the most important aspect of specialist travel insurance, there are other facets of cover that, while less crucial, are still a great benefit to have in place. Free Spirit will make sure you are not left without your prescribed medication or medical aids if anything were to happen to them while you’re away (i.e. you lose them or they are stolen), and the same goes for your other important travel items, such as your passport, travel documents, baggage and personal money. Personal liability insurance is included too (for example if you accidently damaged your accommodation property) as is cover for delays of over 12 hours that affect your journey to or from your final holiday destination. You’ll also be covered for extra accommodation and travel expenses in the case of a strike, adverse weather or mechanical breakdown that causes you to miss a flight. Our travel insurance for existing health conditions and disabilities is wide-ranging; in fact our ‘Super Duper’ cover has been awarded a 5 Star Rating from Defaqto which means that it has been independently verified to provide one of the highest quality offerings in the market. Read our full policy terms and conditions for a breakdown of everything our cover includes. If you have any questions about our medical travel insurance, please don’t hesitate to give us a call on 02392 419 080 Monday to Friday 8am – 6pm, closed Bank Holidays, or Ask Mary! Don’t let a fall ruin your holiday, Free Spirit travel insurance is on hand to help.